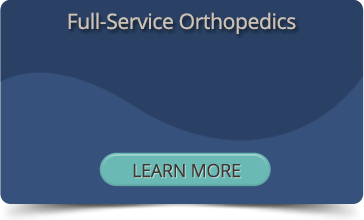 Virginia Orthopaedic and Spine Center doctors are all board-certified by the American Academy of Orthopaedic Surgeons and have extensive training in many types of orthopedic specialties and sports injuries. They can provide surgical and non-surgical treatment options for patients with all kinds of joint and spinal problems. To make an appointment, please call (540) 825-5362 or use our secure online appointment request form. Dr. Benjamin F. Allen specializes in general orthopedics and has performed hundreds of total knee, total hip, and total shoulder replacements. 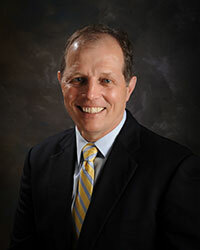 As a general orthopedic surgeon, Dr. Allen also performs various procedures for hand, ankle, foot, and knee injuries. 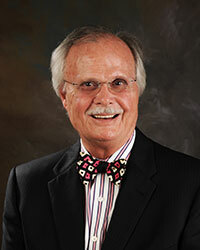 Dr. Allen has been serving the Culpeper area for over 30 years. He is a member of the Culpeper Regional Hospital medical staff and has also served as the chief of surgery and as president of the medical staff. In his spare time, Dr. Allen has worked with Vietnam veterans, amputees, and other physically handicapped persons. He is one of the founders of Disabled Sports USA and has served on its National Board of Directors since 1990. "I was born with a small right leg. It was also dislocated at the hip. I wore braces from the time I was a week old, and the hip was relocated when I was very young. My parents had a great attitude about all of this. They encouraged me to try everything...including sports! My leg did not grow well and by the time I was 16 years old, my right leg was 13 inches shorter than the left leg. My right leg was amputated at the knee at age 16. My whole life, the orthopaedic surgeons were my heroes. I decided to become one when I grew up. I actually went to college with the goal of going to medical school and becoming an orthopaedic surgeon! Being born with a small leg was a blessing because it helped me find the right place and the right profession for me and my patients!" 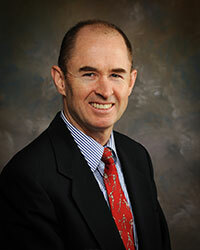 Dr. Craig A. Reigel joined Virginia Orthopaedic Center in 2003. He routinely treats many orthopedic injuries and performs various procedures, including total shoulder replacements, rotator cuff repairs, arthroscopic meniscus / ACL repair, and carpal tunnel release. He is a member of the Culpeper Regional Hospital medical staff. Before joining Virginia Orthopaedic Center, Dr. Reigel worked in private practice in Philadelphia, Pennsylvania, where he had the opportunity to provide services for several high school, collegiate, and professional sports teams, including the Philadelphia Phillies, Flyers, Eagles, and Wings. Dr. Robert Rutkowski specializes in general orthopedics and has performed hundreds of total knee, total hip, and total shoulder replacements. Additionally, Dr. Rutkowski routinely performs ACL / meniscus tear knee surgeries, carpal tunnel release, and various other hand, foot, and ankle procedures. Dr. Rutkowski moved to Culpeper and began practicing over 30 years ago. He is a member of the Culpeper Regional Hospital medical staff and has served as president of the medical staff and as vice-president of the Culpeper Hospital Board of Trustees.